What is Oracle Tax Reporting Cloud Service? Proper access to financial data and processes are key components for building an effective, efficient, and transparent corporate tax function. However, most corporate finance systems don't meet the needs of corporate tax for processes such as the tax provision, country by country reporting, and other tax data collection and reporting requirements. Oracle Tax Reporting Cloud solves this by delivering a tax-owned platform that works with Oracle, Hyperion, and non-Oracle finance systems. It is a comprehensive global tax reporting solution for medium to large multinational companies that provides Tax Provisioning, Country by Country Reporting, Workflow Management, Supplemental Data Management, and Dashboards and Key Performance Indicator reporting. Leverages investment in Hyperion Financial Management (HFM) and other Oracle/Hyperion products. Oracle Tax Reporting Cloud offers a comprehensive tax data and process improvement platform that can be completely integrated with your company's financial systems. MindStream Analytics can help you learn more about Oracle EPM Cloud and its full scope of capabilities. 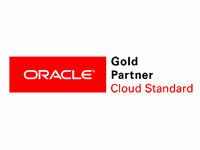 Want to know more about Oracle Tax Reporting Cloud Service? Please complete the form below.